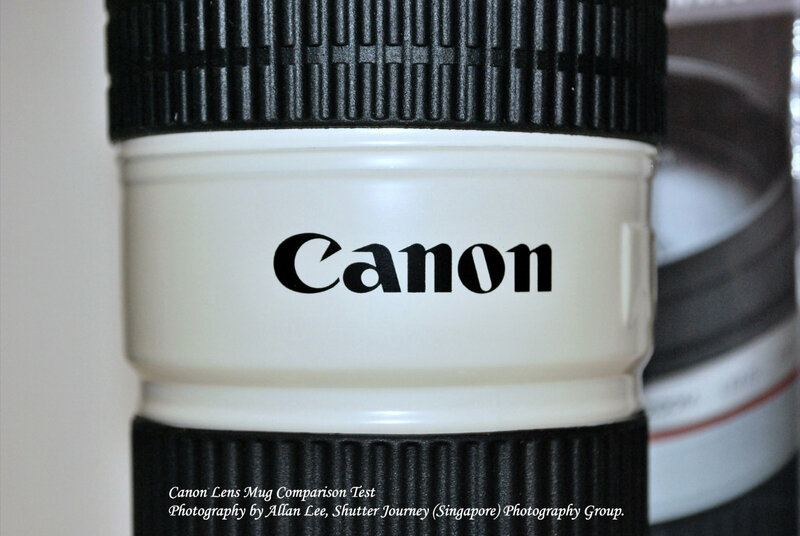 ← Latest Products Announced at SgCameraStore! 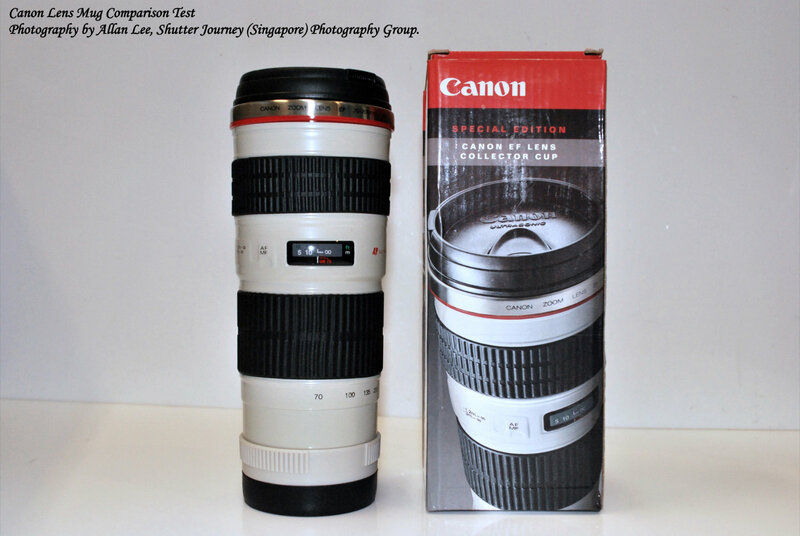 Canon Lens Mug 70-200mm F4L 1:1 – How Real? Photography Collectibles are interesting to keep for display purposes other than its primary use. We have seen hordes of miniatures in the form of paper weights, thumbdrives, or logo-based novelties in many forms, things that are familar to us. 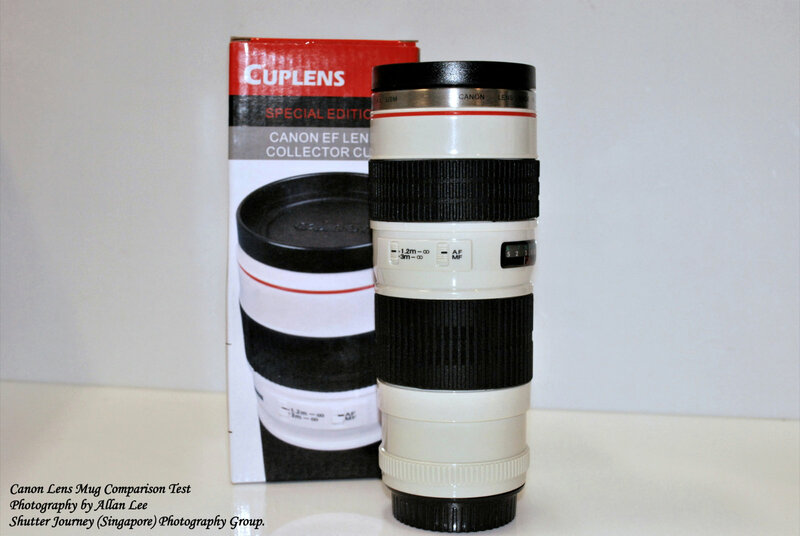 Most recently, Lens Mug has caught on. 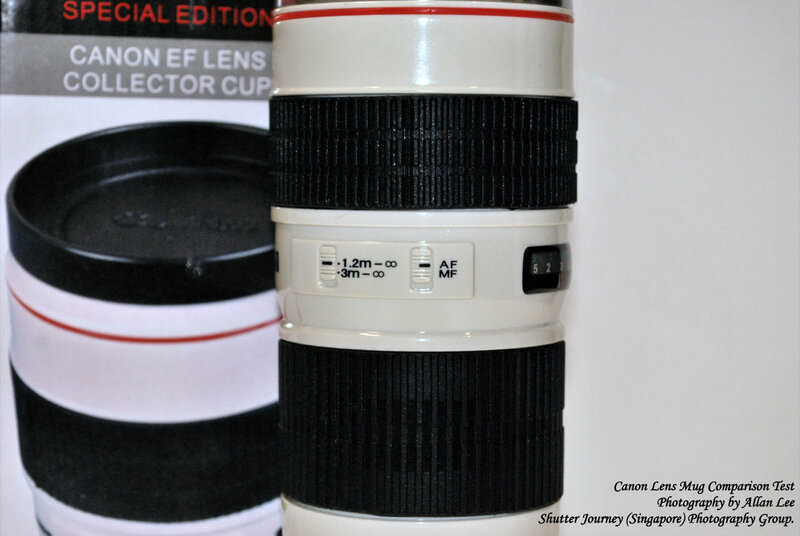 To date, there are 2 versions of Canon’s EF24-105mm F4L IS, 3 versions of EF70-200mm F4L, 1 version of 85mm F1.2L and Nikon’s Nikkor 24-70mm. These mugs are either office coffee mugs or thermo mugs. 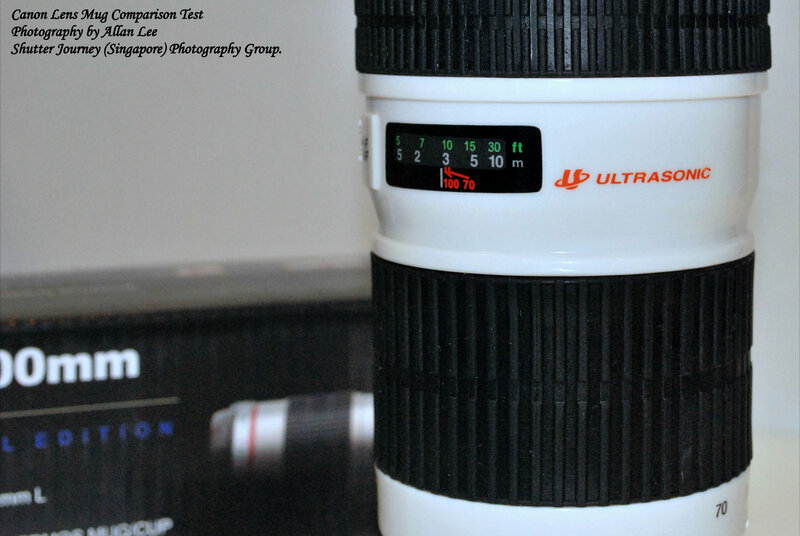 I bought all 3 versions of the EF70-200mm F4L mugs. As usual, I did a comparison test. 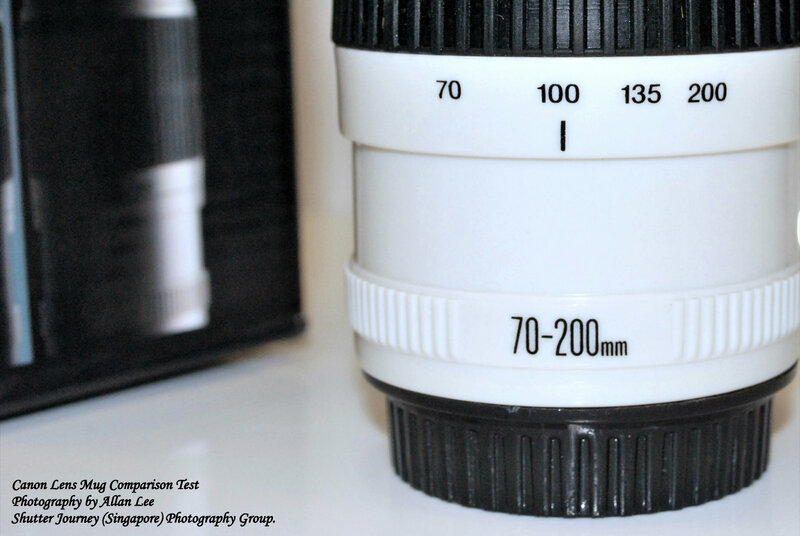 Picture: The Lens that sparked off the trend. 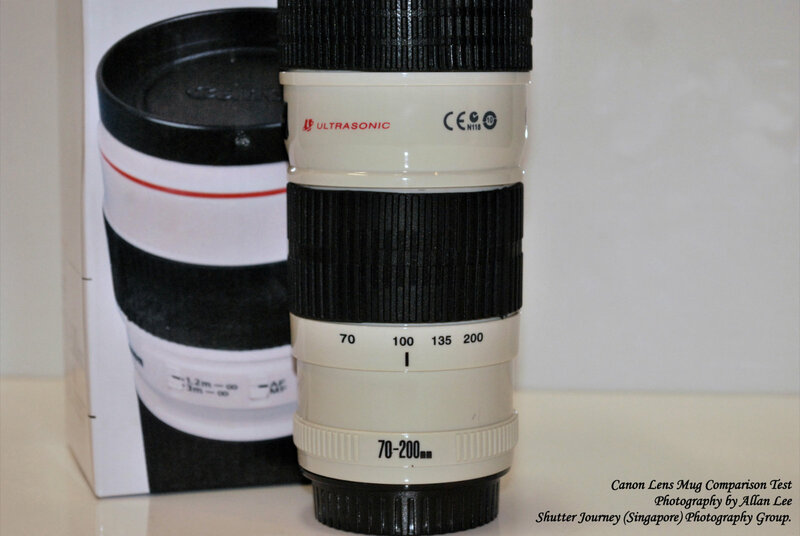 Canon EF 70-200mm F4L USM. 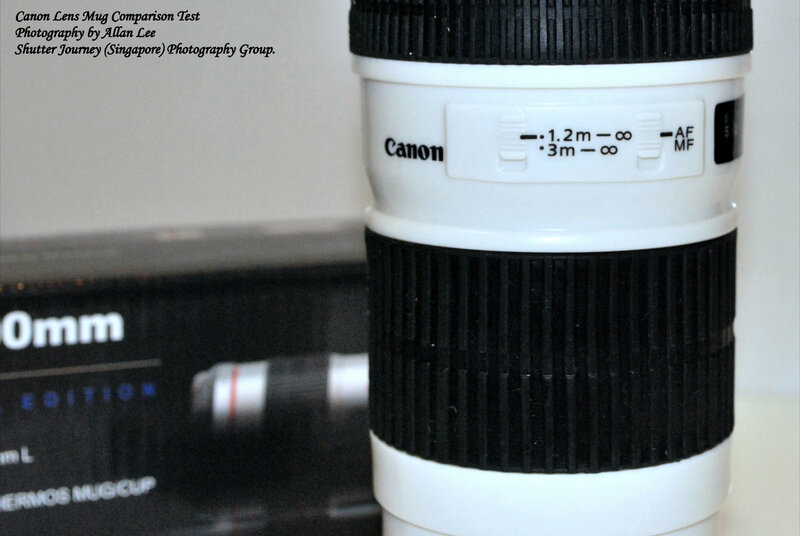 All lens mugs claimed to be modelled on a 1:1 ratio!! How uncanny! We take a look at all 4 of them when placed side by side. On first look, can you spot the real lens on first glance? 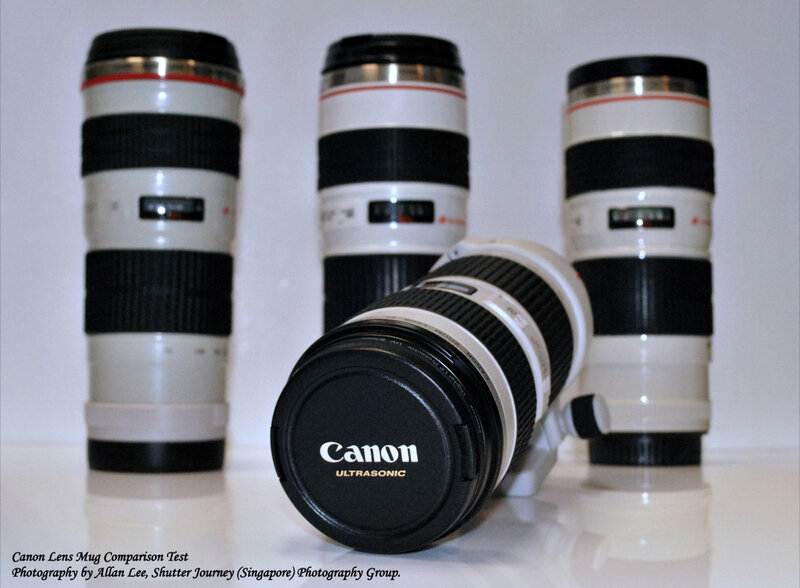 Picture: Can You Find the real lens? When placed side by side, you will notice that all the 3 mugs above are not exactly 1:1 as claimed. even the color are off. 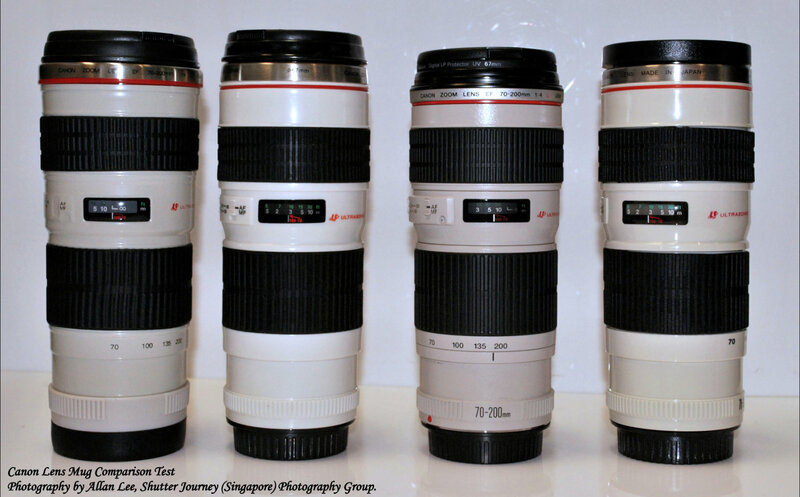 The 3rd from the left above is the real lens. Let’s scrutinize each version now. This is version 1. On first look, not too bad, pretty close due to the color. 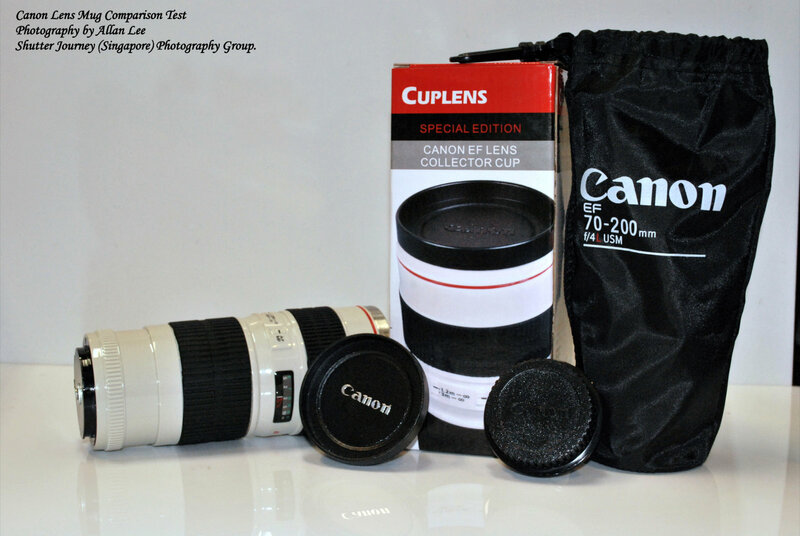 And the packaging box was quite close to Canon’s theme of Red, Black & White. However on a closer look, the AF/MF Switch was ultra fake and the “switch” itself wasn’t even moulded onto it. The Distance scale meter was a joke, the font size are wrong. The Ultrasonic logo also looks a tad too fake to be real. Workmanship was very bad, especially at the signature red ring area. And the focusing ring looks unbalanced. The grip lines are inconsistent. Cup is functional with the usual lid design for easy consumption of beverages. This “Canon” word is not supposed to be there, but I guess with a lens this fake, the logo helps to make it look more convincing. I like the bottom though. 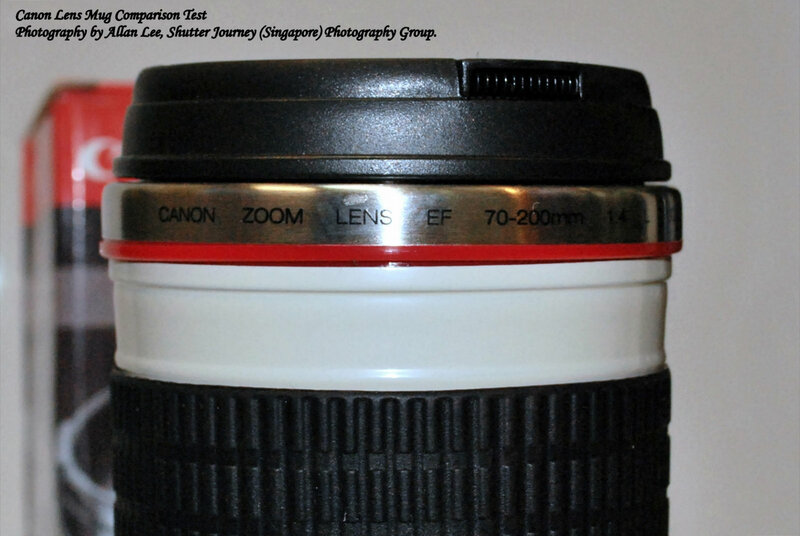 The other 2 versions feature real Rear Lens caps except for this version. This is a anti-slip rubber base which adds functionality to the mug and to prevent spills. This is the best feature for this version. Let’s look at Version 2 now. This is version 2. The box did not employ the Canon theme of Red, Black & White. 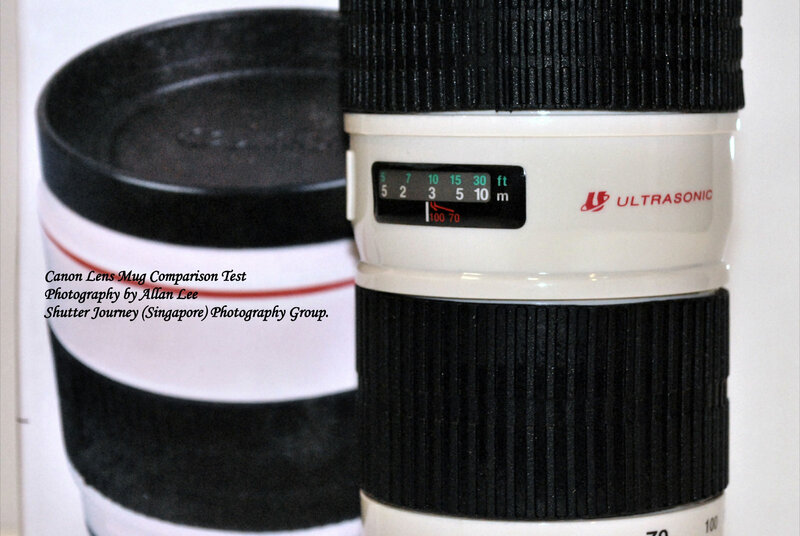 The lens’s body color is too white as compared to the original lens. This is the “whitest” version of the 3 mugs. The switches are the most realistic of the 3 versions, but the rubber rings feel cheap and a little too soft to be real. This version has the most realistic Distance Scale meter too. 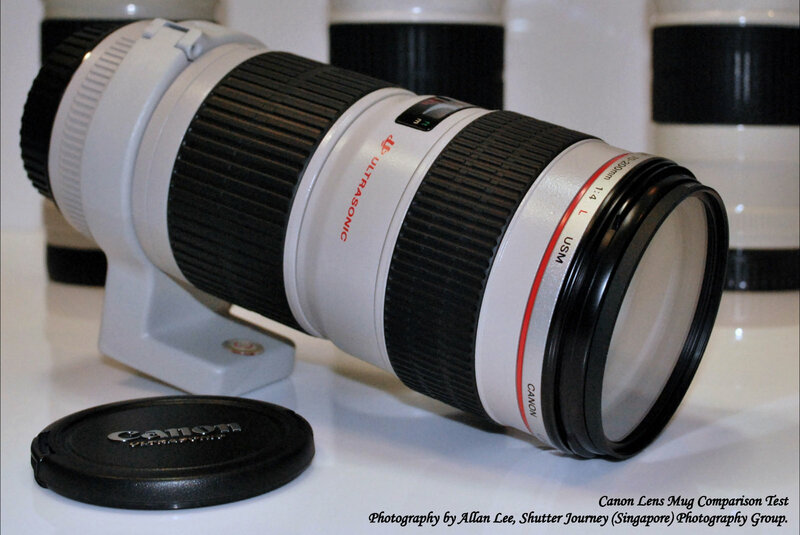 The lens Focal Range Print makes the lens even more convincing! Mug lid is again functional. 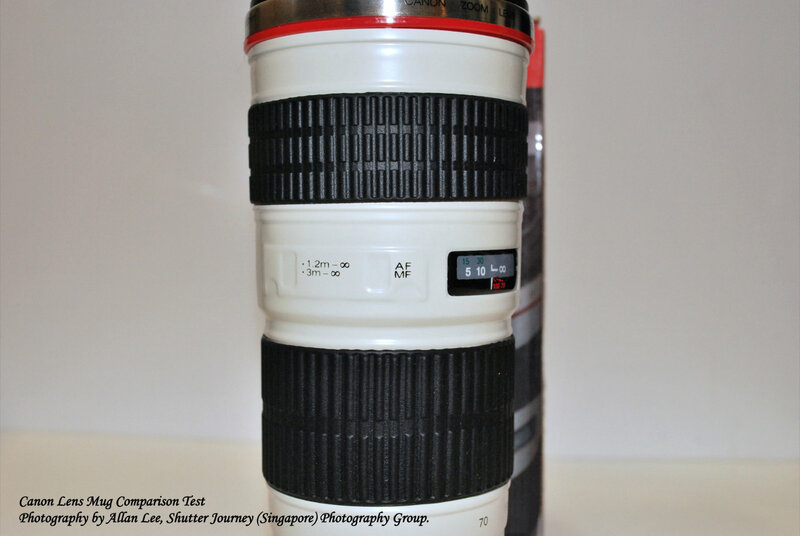 Featuring a real lens cap that can be used on a real EF lens, this feature is interestingly incorporated into the design of this lens mug. Let’s look at version 3 now. Version 3 uses the Canon theme on the box design. The details of this version is amazing. Color is slightly off, but still closer to the real lens color when compared with the other 2 versions. The switches are life-like and has slightly less details than version 2. But the size is definitely correct and to scale. The distance scale meter on this version has got the font and size wrong, but it looks good still. 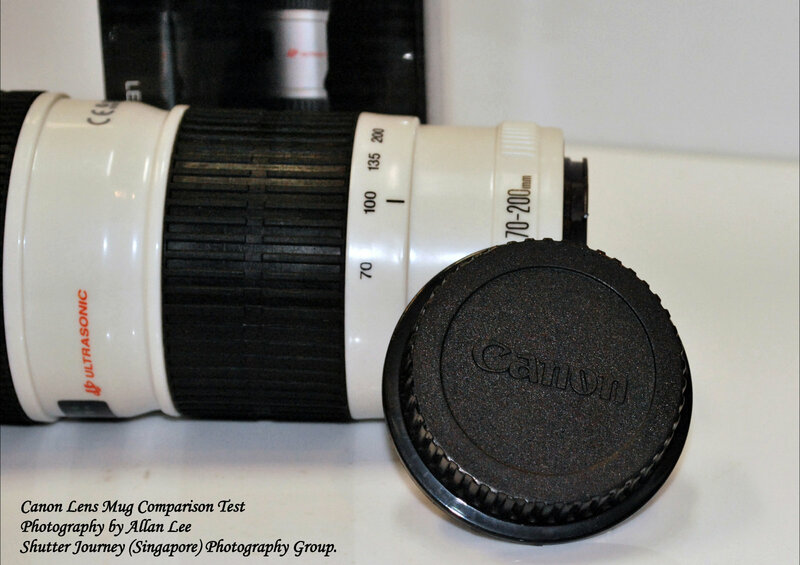 But the quality of the focusing and zoom ring (rubber grips) are made quite badly and unbalanced. It even feels wrong when touched. I hate the sticky feel to it. 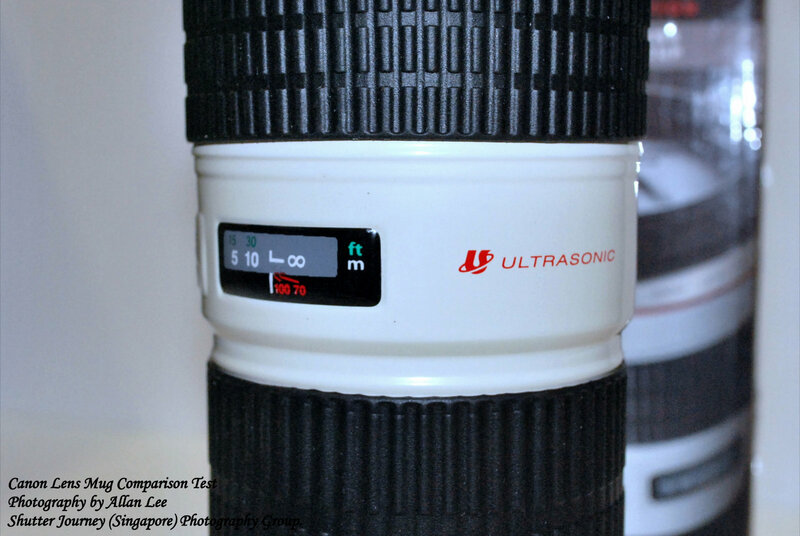 But details like the “Ultrasonic” logo, the Focal range meter, etc, this version has the best copy. 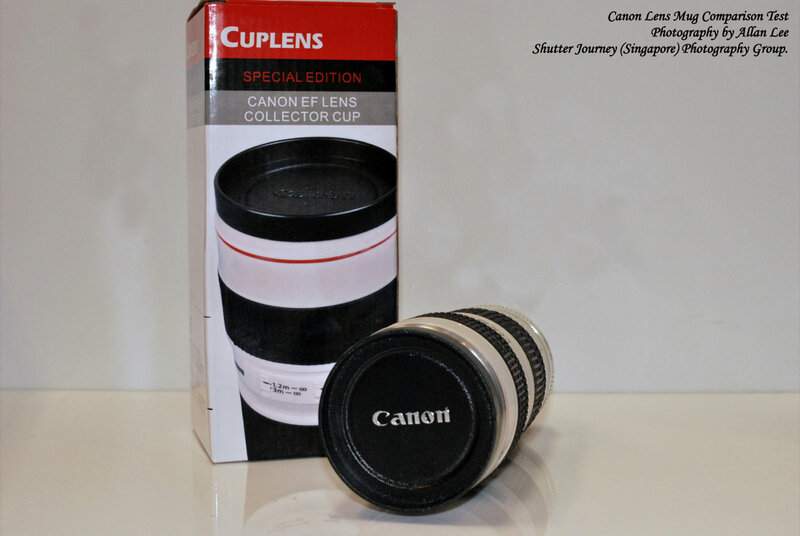 The lid was even made to look like a real Canon lens cap. But lack the golden “Ultrasonic” word on the lid. Compared with the earlier 2 versions, this will be an added advantage if the buyer really meant to buy and display rather than to buy and use. 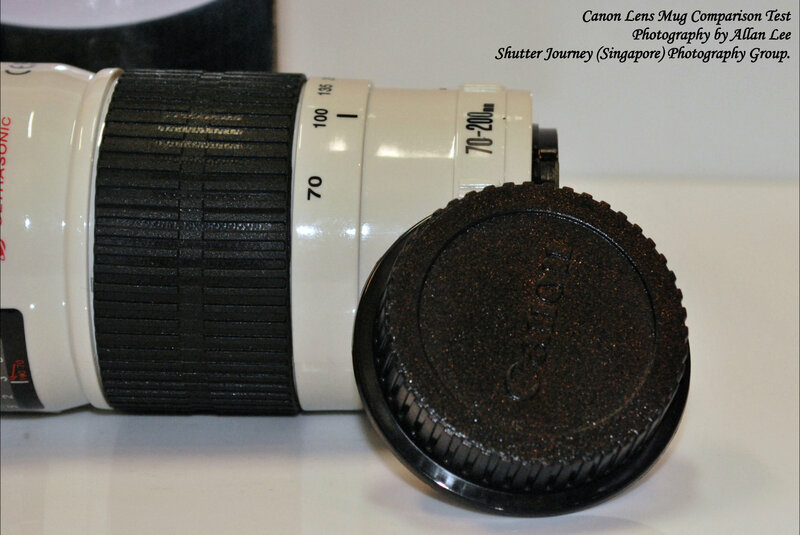 The rear lens cap also can be used on real EF Lenses as a rear lens cap, however the texture of this version is not quite close to the real thing. I suspect it is made this way to create the friction on the mug base to prevent spills. The overall winner has to be version 3. The details were paid attention to and it was in fact made to 90% close to the real lens. 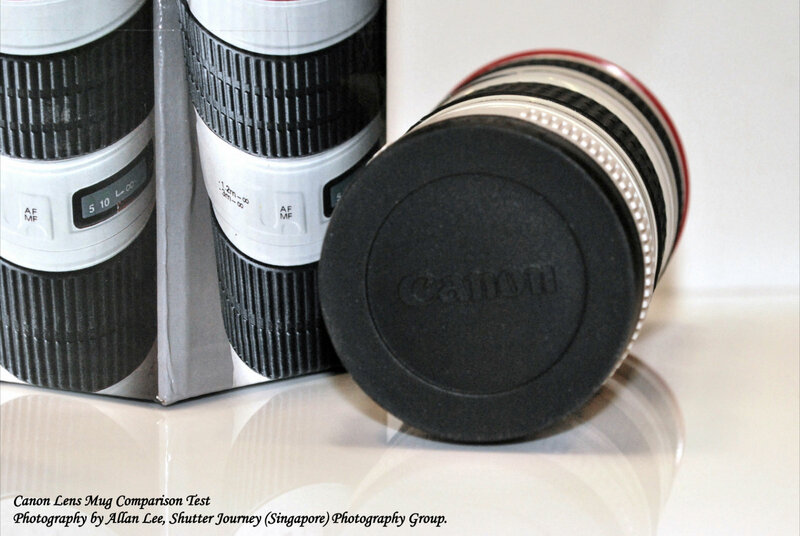 Inside the packaging (picture above), there’s a pleasant surprise that the manufacturer even included a mug holder mimicking a real “Lens Pouch”. So if you are out looking to buy one for collecting and light usage, do make sure you get the right version or get mugged. 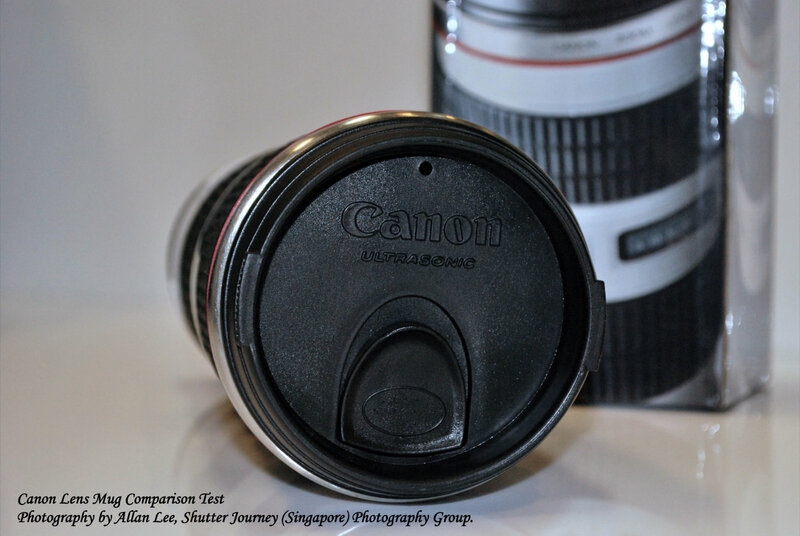 This entry was posted in Group Test & Reviews, Photography Articles & Videos and tagged Canon, DSLR, EOS, Lens, Photography Toys. Bookmark the permalink. 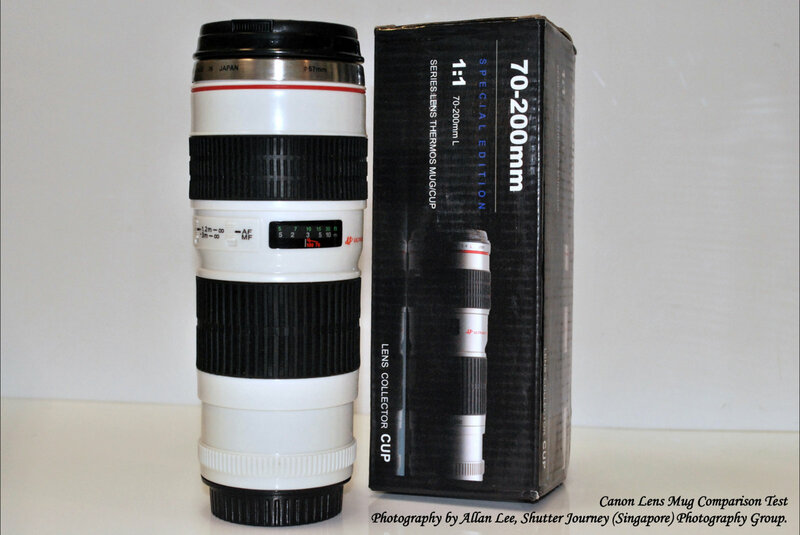 8 Responses to Canon Lens Mug 70-200mm F4L 1:1 – How Real? Awesome review. I’ve got one in my hands here, and it seems to be slightly different from all of yours, but maybe most similar to the third one. I’ll post a review soon. Melissa, I bought it from various sources. thank you for information. i like mugs from site here. I bought it from 3 different local suppliers.